BLOGFEST is a HTML5 fully responsive template built in special for blog and online magazines, but can fit a more wide business profiles. 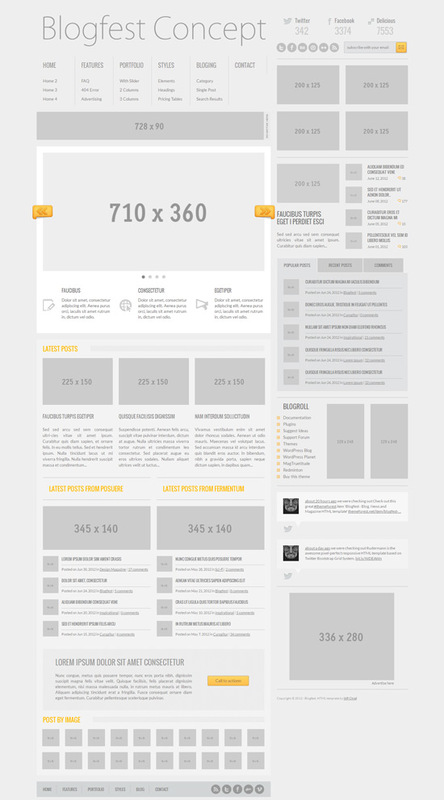 The template contain 17 pages, 4 home page variations, 3 layouts for portfolio or gallery section, along with the templates used for a blogging platform like WordPress: single post page, category page and search results template. 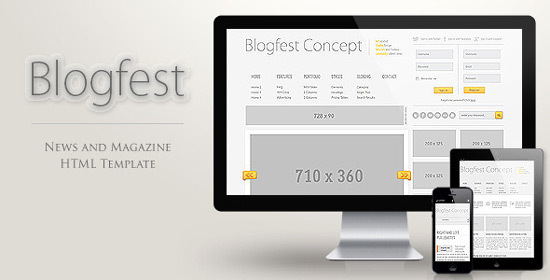 Blogfest Magazine HTML template is very flexible, built on modular content and widgets, and is easy to be customized to your business needs. 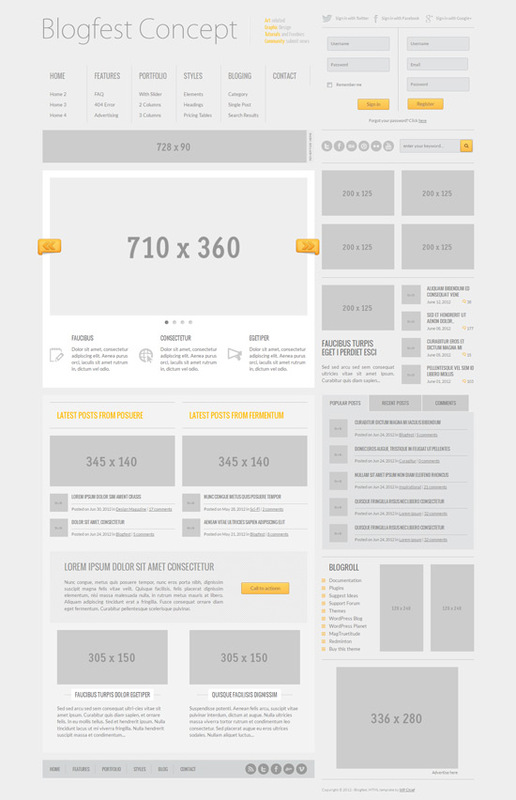 You can use this HTMl template like skin for your own custom content management system or for Joomla, Drupal or WordPress. Blogfest template is built with the WordPress blogging platform in mind and contain all needed CSS styles, so is very easy to integrate it in this very popular CMS. For those what need it for a multiuser website, Blogfest have built a home page variation template with custom registration and login fields.